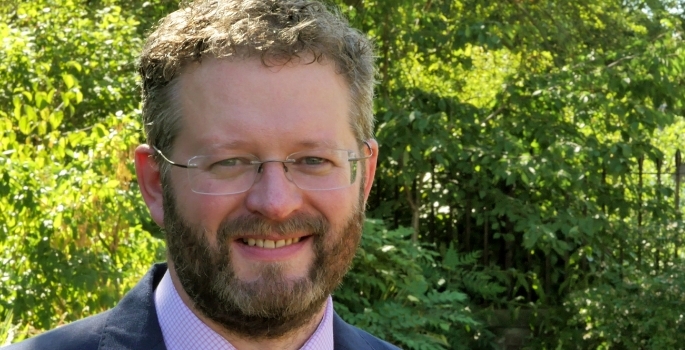 The University of Kent and Canterbury Christ Church University say they are “delighted” to welcome Professor Chris Holland as the Foundation Dean of the Kent and Medway Medical School (KMMS). Professor Holland has an extensive career in medicine and medical education, working with the General Medical Council and Local Enterprise Partnerships. He was awarded his Bachelor of Medicine, Bachelor of Surgery from Queen’s University Belfast in 1997 and went on to gain a Master’s Degree in Medical Education from the University of Warwick, and is currently completing a Doctorate in Education at King’s College London. He joins the KMMS from the University of Surrey, where he was a Professorial Teaching Fellow and Director of Learning and Teaching for Medicine, responsible for learning and teaching and student experience for Medicine at the University. Professor Holland will be continuing as a consultant in General Adult Intensive Care Medicine at King’s College Hospital NHS Foundation Trust, with the aim of moving his clinical practice to east Kent in the near future. Professor Holland, who took-up his new role earlier this month, said: “I am excited to be joining the Kent and Medway Medical School. It is an excellent opportunity and, in my opinion, offers some of the most inspiring opportunities for a new medical school following the recent funding announcement for the expansion of medical places. In March this year the Government and Health Education England announced that a joint bid by Canterbury Christ Church University and the University of Kent to establish a medical school was successful. The KMMS will be Kent and Medway’s first ever medical school, bringing together the existing centres of excellence in health and medical education provided by the two universities, and local healthcare organisations, to offer a new model of patient-focused medical education. It will also be part of the solution to the challenge of recruiting and retaining medical professionals for the region. The medical school will open in September 2020, offering 100 undergraduate medical places on a yearly basis.